Hello friends, Today I will tell you a method on How to change your number when you call someone. 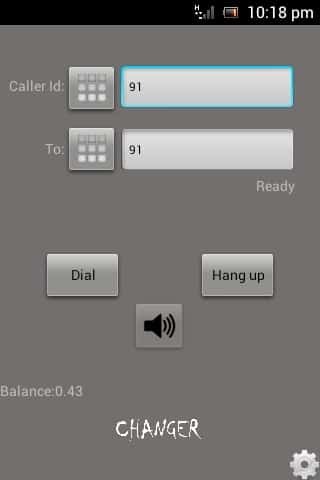 I will share great application to call someone from a different number with the help of app on your Android or iPhone. You can spoof any number for free. We know there are hundreds of app’s or websites available either on the play store or other platforms that promise the same but ultimately trick you to get the clicks on advertisements and are just a piece of crap. However, we bring you the 100% working and self-tested application available on the play store that has everything you are looking for. 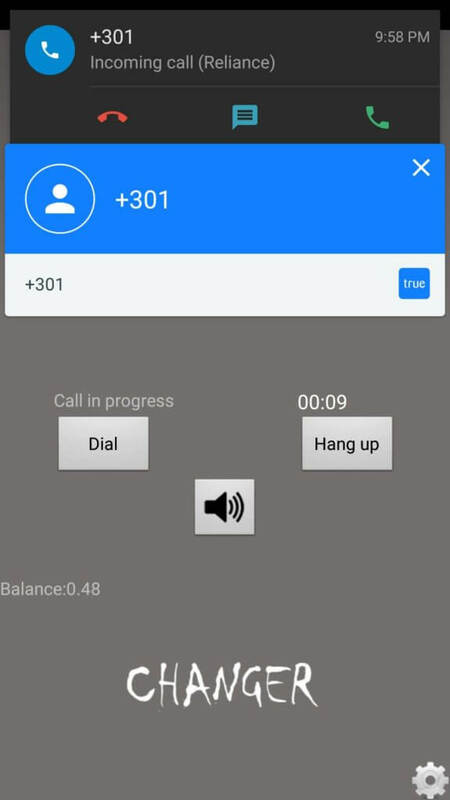 With this, you can call any national or international number with showing any fake number of yours choice. See it works: Look at how this thing works and imagine what will be your friend’s reaction after seeing such an unusual number on his phone. Go ahead: Explore some other features of this application. I recommend using the voice changing option as it is amazing. If this application does not work fine with your device or if you haven’t get through it yet and probably checking out some other options. Then this part is for you. We have brought you a website that changes your ‘Called Id’ to whatsoever you may like. In addition to this, it lets you do some spoofing with your friends. For trying this website, follow these simple steps. Best method to change your number when you call someone. Fill up the details and enter the Caller Id you want to display. Besides this type in the number whom you want to make a call. Try changing the voice pitch to make the call more interesting. ‘That sounds so evil’:D.
Click on ‘Get Me A Code, ‘ and after few seconds you will see a message will pop-up on the screen. Follow the instructions as written in the message, and your call will connect to your recipient. Still not getting a hold on this. Then check below there we have a trick on how to get ‘Unlimited Called Id credits’ which will give you unlimited access to make spoof calls. So before moving any further take a quick look at what a spoof call means and how it works. What is a Spoof call? ‘Spoof Call’ is simply a practice of teasing with the network connections to indicate a false number to the receiver of the call. Caller Id Spoofing is illegal if it’s done with a wrong intention or to cause any harm to the recipient. Read the tutorial on How to change your number when you call someone. It is an application through which you can perform the spoof call activity. Furthermore, it takes your phone number as you can manually enter any number to display to the recipient’s device. The person you’re calling sees that spoofed caller ID only instead of your original number. So you can easily pretend as someone else. Open & Select: Open the application. Now you can select any app from the list that you’ll be seeing on the screen. It will allow you to run multiple accounts of the same app simultaneously on your phone. Choose: Choose ‘ID Changer’ apk and add it to the parallel space. Done: This way you’ll keep on getting the trial points again and again without giving away a single buck from your pocket. Tip: If you face any trouble while performing these steps, try clearing the data of ‘Parallel Space’ application. Note: All these Methods are for education purpose only. Please don’t misuse any trick. I have shared several methods to spoof a call. This topic on how to change your number when you call someone will work on almost every Smartphone. 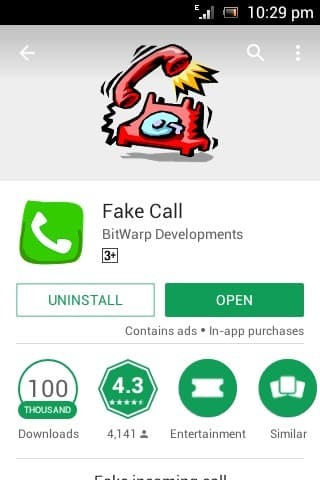 Download the above-listed applications on your Android Phone and call someone using a fake number. If you face any problem regarding this trick. Then, don’t forget to comment below and do share this article with your friends. incoming search terms - Yogi adityanath, cm up, narendra modi, BJP, Modi speech, Change android font latest, change andrdroid font without root 2017.